While the Pattern Grammar framework (Hunston & Francis 2000) and the theory of construction grammar converge on many points, the two traditions have developed independently. Until recently, linguistic description in construction grammar has focused on individual studies of (small families of) idiosyncratic constructions, designed to demonstrate the need for constructional theories to account for such phenomena. Increasingly however, the scope of construction grammar is expanding, and attention is shifting towards the language network as a structured inventory of constructions linked by relations of various kinds (labelled a ‘constructicon’). In this endeavour, the Grammar Patterns resource (Francis et al. 1996, 1998), which provides a near-comprehensive description of the more general, regular patterns of English, has much to offer construction grammar (see Hunston & Su 2017). In this paper, I discuss the role of Pattern Grammar research in the development of a newly proposed descriptive resource: the English Constructicon (Perek and Patten forthc. ), and examine its potential in operationalising constructional approaches to English language teaching (Patten and Perek forthc.). Amanda Patten is a lecturer at the University of Birmingham. 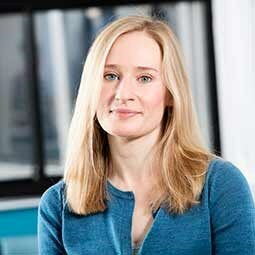 Her research, including a 2012 monograph, has focused on the analysis of English information packaging constructions from a (diachronic) construction grammar perspective. She is currently researching a new project on constructicon development (with Florent Perek, also University of Birmingham), and is leading a case study that explores the pedagogic applications of Pattern Grammar research.